An unsafe workplace is not an option. Creating a safe environment can be difficult though and requires a lot of focus and attention to every detail as a simple oversight can lead to disastrous consequences. Although this may seem like a daunting task, you are not alone! Safety Professionals are finding ways to reduce time-consuming tasks such as data duplication with the help of automation and technology across the globe. This allows them to focus their time and energy on more important matters like proper safety gear and clear fire exits with the peace of mind that compliance and prevention records are all submitted, stored, and analyzed exactly how they want them to be. As the safety industry continues to become more automated, it is important to understand how this might impact your business and how to stay ahead of industry trends. The movement toward paperless companies and automated systems is becoming more and more important. Recently, OSHA passed an electronic submission requirement for forms such as their OSHA 300 report and OSHA 301 report. Automation is the future of the safety industry and is already drastically improving the way safety reporting is handled on the field now. Simple errors such as misplaced forms, messy handwriting, or incomplete submissions can result in significant penalties. By automating the way reports are completed, you’re able to streamline the way the forms are filled as each field tech is submitting the form through the same channel and including the same information. Automating this process ensures you’re receiving every submission and it is stored securely in the cloud where you can quickly search and access as a pdf or download data via CSV. Or you can automate your processes even further and have your data populate a backend system such as QuickBooks, Viewpoint, or Sage. There are plenty of things that could affect the accuracy of the information reported. By eliminating manual data transfer and the potential for illegible handwriting, you decrease the possibilities for human error drastically. It doesn’t matter how many asterisks or underlines used, forms still come back incomplete and many times by the time the office gets it back it is too late to fix. Automating these forms removes the headache of tracking down incomplete information and ensures top quality information every time. Accurate reporting relies on having the best data possible. By improving the quality of the data you're collecting, this allows you to make the best decisions for your business. Time and time again we talk to safety managers who are having difficulty tracing their progress quarter to quarter or even year over year. In the safety industry, being able to track where improvement is needed and what is working efficiently is important to the safety of every employee. Whether your company is interested in getting better visibility into employee behavioral reports or motor vehicle inspection data, it is important to be able to easily pull those reports. Manual reporting can be time-consuming and restricts the ability to pull or find this information easily and accurately. Automating the way data is collected and where the information is sent allows businesses to make critical data-based decisions within minutes. Whether you’re interested in automating your paperwork to have an easily accessible electronic filing cabinet or if you’re looking to create custom safety dashboards data opens the doors to endless possibilities and is the driving force in creating strategic decisions. Safety and compliance are important in every industry and business. You may see it as a chore or a necessary evil but we all know how crucial it is to save lives and keeping projects on track. Whether you are in construction or the food industry there are a variety of quality measures that need to be met to keep both front-line staff and customers safe on a day to day basis. Not meeting these requirements can result in massive fines resulting in the loss of thousands sometimes even millions of dollars or worse injury to another person. Therefore, it is critical to maintaining accurate and up to date records of all reports. Staying compliant doesn’t have to be difficult or time intensive though. By automating the way forms such as OSHA 300 forms, JSA/JHAs, equipment inspections, incident reports, vehicle inspections, and more are filed you ensure all submissions can be found through a simple search and that all actionable can be dispatched in real time. Don’t let simple filing errors or lost forms slow your company. Compliance will always be a crucial part of any safety professional's career. As the rules and regulations get more and more complicated make it easier for your company to stay compliant and improve the data you’re collecting. Take your safety standards to the next level by creating real-time results and solutions with GoCanvas. Now you can easily modernize the way you are capturing information on or off-site. 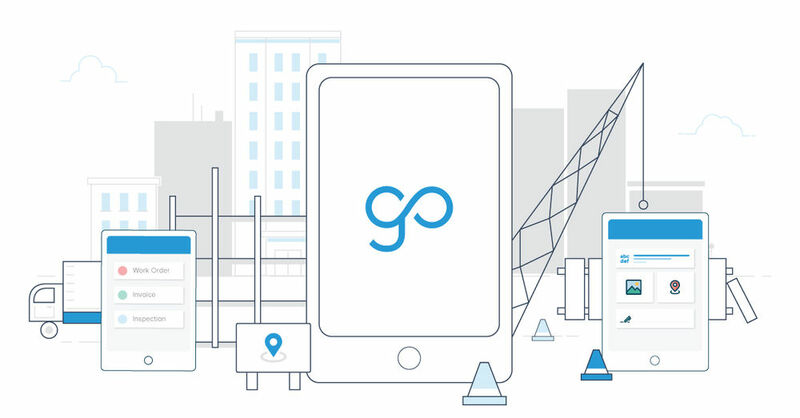 Whether you are looking to improve your data visibility or simply improve the safety culture on the field, we hope you consider using GoCanvas as your data collection tool. Sign up for GoCanvas free and give our platform a try today! Interested in learning more? Check out how you can turn Toolbox Talks into Bottom-Line Success!